New from documentarian Bart Layton – director of 2012’s BAFTA-winning The Imposter – comes the exhilarating American Animals, which premiered at Sundance earlier this year. His first narrative feature, it’s nevertheless based on a true story and brilliantly employs elements of docudrama to propel its curious and compelling narrative. Lexington, Kentucky, 2004: Spencer (Barry Keoghan) and Warren (Evan Peters) dream of remarkable lives beyond their middle-class suburban existence. Heading off to colleges in the same town, they’re haunted by the fear they may never distinguish themselves. Then, when given a tour of his school’s incredibly valuable rare book collection, Spencer describes it to Warren and suddenly, it hits them – they have all the ingredients to pull off one of the most audacious art thefts in recent history. Convinced they can get away with it, they recruit two other friends and before long, the excitement of knowing what might happen if they cross the line becomes all-consuming. Buoyed by an exceptional cast that also features Udo Kier and Ann Dowd, Layton makes a brilliant leap into the world of fiction with a film that operates both as a thrilling true-crime heist drama and the existential journey of four misguided young men searching in all the wrong places for identity, meaning and the kind of adventures that cinema itself depicts. 5/5 Stars – The Guardian. 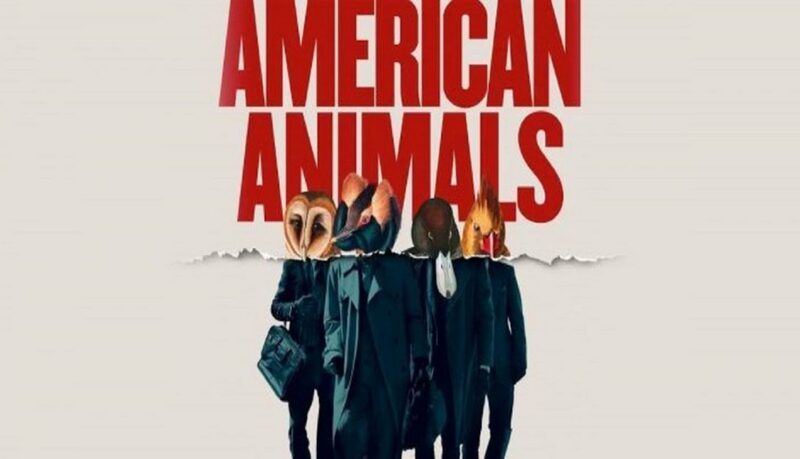 By the end, American Animals finds its truth.